From 1967 to 1972, the Ace of Cups were at the epicenter of the ‘60s cultural and social revolution. From the Acid Tests to the protests, from the free concerts in Golden Gate Park to the ballrooms of San Francisco, they shared stages with everyone from The Band to the Grateful Dead, and were chosen to open for Jimi Hendrix the week after his groundbreaking performance at The Monterey Pop Festival. Despite eliciting music industry interest for their exceptional songs, sublime harmonies and exuberant live performances, the Ace of Cups never got the chance to make a record…until now. Check out the new singles! The first studio releases by the original all-female rock band of the late ‘60s San Francisco scene are now available, featuring contributions from Bob Weir (Grateful Dead, Dead & Company), Jorma Kaukonen and Jack Casady (Jefferson Airplane, Hot Tuna), Taj Mahal, Buffy Sainte-Marie, Peter Coyote, and many more. They were arguably the first all-female rock band of importance. Original and openly feminist, the act never scored a record deal. Until now. Read more. Although the group shared the stage with the Grateful Dead, Jefferson Airplane and the Jimi Hendrix Experience, they never recorded a proper album...until now. Read more. There are second acts. 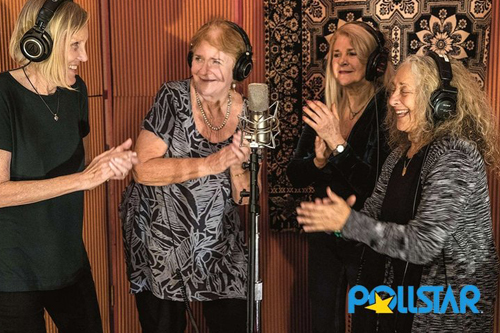 Guitarist Denise Kaufman answers Pollstar’s questions about the group’s journey from the ‘60s to hitting the studio today. Read more. Formed in the Haight Ashbury during the Summer of Love, the Ace of Cups was the first and only all-female rock band on the scene in those heady psychedelic days a half century ago. Read more. 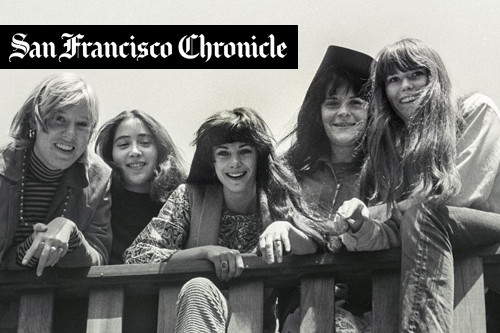 The Ace of Cups, one of the first all-women rock bands emerging in the mid-sixties, were at the center of the SF music scene and the summer of love in 1967. Listen here to an interview on the Test of Time with Ace of Cups’ guitarist & bassist Denise Kaufman. For decades, Ace of Cups was just a curious name that appeared on vintage psychedelic rock posters alongside more familiar names. Read more. If you were around in their heyday, the Ace of Cups are already legends. They opened for Jimi Hendrix and were friends with the Grateful Dead. Read more. Ace of Cups' return from obscurity continues with the release of the all-woman rock group's first single since forming more than 50 years ago in San Francisco. Read more. 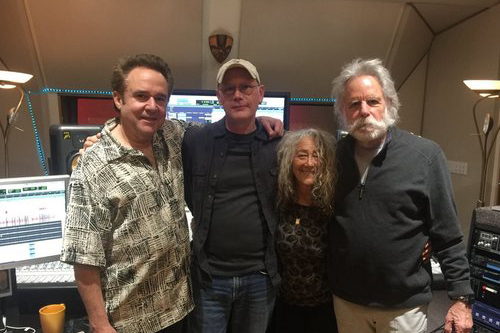 Denise hanging at Laughing Tiger studios, working on the Ace of Cups album (guitar solos on Bobby's vintage Gretch and lead vocals to melt your heart on "The Well"—listen here)! 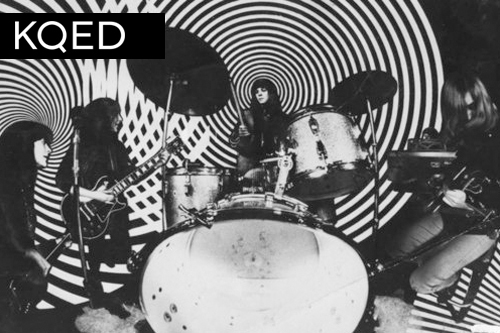 The first studio release by the only all-female rock band of the late ‘60s San Francisco scene features contributions from Bob Weir, Jorma Kaukonen and Jack Casady, Taj Mahal, Buffy Sainte-Marie, Peter Coyote, and many more. Read more. Sign up to join the Ace Of Cups community. Access to exclusive content, album release dates, music downloads and more!